The globular cluster NGC 288 is located about 1.8° southeast of the Sculptor galaxy (NGC 253). It is not very concentrated and has a well resolved, 3′ large dense core that is surrounded by a much more diffuse and irregular 9' diameter ring. Peripheral members extend farther outward towards the south and especially southwest. 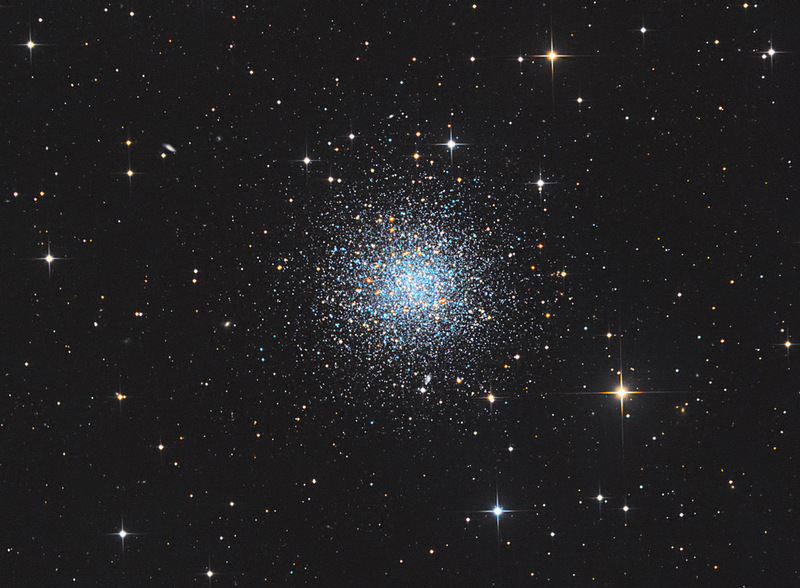 This cluster lies only 37′ north-northeast of the South Galactic Pole. Larger filed (four panel mosaic including NGC 253) can be found here .